The Special-edition 2019 Ram 1500 Rebel 12 takes what you already love about the Ram 1500 and ramps it up to create a model equipped with premium entertainment features, a luxurious interior, and impressive off-road capabilities. 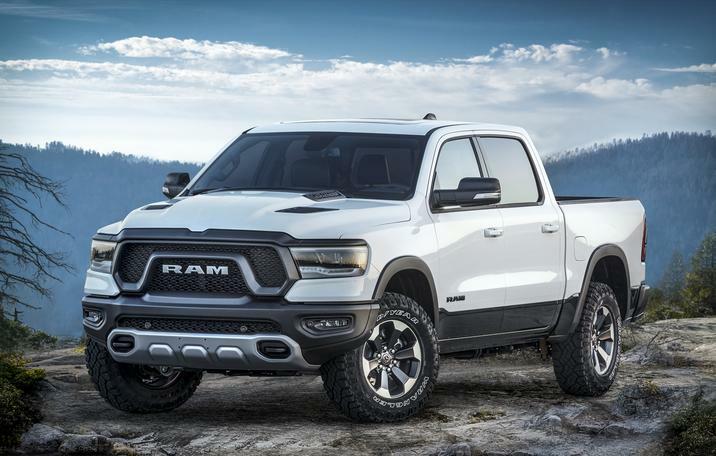 New to the 2019 Ram 1500 Rebel 12 is the fourth-generation infotainment system, Uconnect 4C that features a 12-inch touch-screen display embedded with navigation assistance. The enhanced system facilitates smartphone integration and the brilliant 12-inch touch-screen display showcases clear graphics and a split-screen view. For a concert-quality experience on the road, the Rebel 12 offers the Harman Kardon sound system that pumps out 900-watts of beautiful sound through 19 speakers. The system also features a 10-inch subwoofer. The cabin of the Rebel 12 projects a luxurious feel thanks to the heated front seats and leather-trimmed interior. The exterior of the Rebel 12 is strongly grounded by 33-inch tires and a thrilling, off-road capable-ride is made possible by the locking rear differential, Bilstein shocks, factory lift, tow hooks and skid plates. The Sterling Heights, Michigan-manufactured Rebel 12 will be available for purchase in 2018’s fourth quarter and boasts a starting price of $46,990. The destination charge is $1,695.